I’m far behind on writing about Taiwan’s upcoming election. The logos for the two main candidates in the presidential race were revealed about a month ago. 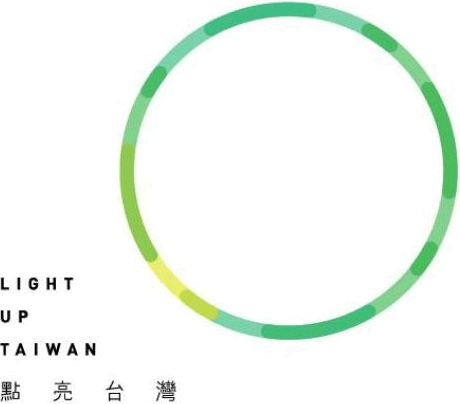 First up is the presidential campaign logo for Tsai Ing-wen (蔡英文 / Cài Yīngwén): “LIGHT UP TAIWAN 點亮台灣” (Diǎn liàng Táiwān). And here is the campaign logo for the Kuomintang’s presidential candidate, Hung Hsiu-chu (Hóng Xiùzhù / 洪秀柱), er, Eric Chu (朱立倫 / Zhū Lìlún): “ONE TAIWAN 台灣就是力量” (Táiwān jiùshì lìliang). It’s hard not to be struck by the fact that both prominently feature English slogans even though Taiwan has a distinct shortage of English-speaking Westerners who are eligible to vote here. (And, anyway, most such immigrants can read the Chinese characters.) For that matter, in both logos the English slogan comes first. That’s how cool and modern English is seen to be in Taiwan, even though it’s not an official language here. Coincidentally, one of the candidates is even named “Ing-wen” (“English language” / Yīngwén / 英文). Sure, it’s window dressing; but it’s still window dressing in English. In 2012 both major candidates had English slogans. Ma Ying-jeou used “Taiwan bravo;” and Tsai Ing-wen used “Taiwan next,” though Ma didn’t make such prominent use of English then as Chu is doing this year. My impression is that the Democratic Progressive Party embraced English much earlier than the Kuomintang but the KMT has since caught up with the DPP in this. 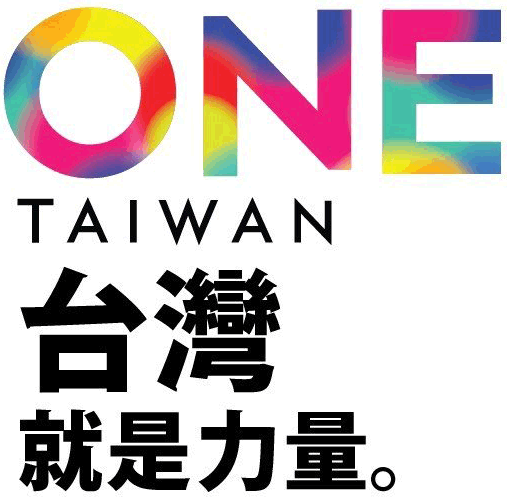 And, as was the case in the previous election, I’d like to note that both candidates used “台灣” rather than “臺灣” for “Taiwan,” despite the Ma administration’s declaration that the latter is the proper form. Most of the recent remarks on the Web about China’s recent discussion on the use of traditional Chinese characters have been, predictably, waaaay off-target. I’ve been trying to ignore them for the most part and not jump up and down while shouting irate things about this. But, still, the topic deserves some remarks. Fortunately, Zhang Liqing, one of the associate editors of the much-beloved ABC Chinese-English Comprehensive Dictionary, has generously contributed an essay that addresses some of the basics of the matter: “Jiǎntǐ” duì “Fántǐ” — “Yǔ” hé “Wén” Bù Yíyàng. It’s now available here on Pinyin.info in both Mandarin (both Pinyin and Hanzi) and English versions. Jiǎntǐzì hé fántǐzì shì shǔyú wénzì fànchóu de wèntí. Dànshi xiànzài wǎng shàng guānyú zhè gè wèntí de yǒuxiē shuōfa chángcháng bǎ yǔyán hé wénzì hùn zài yīqǐ, yě yǒu rén bǎ wénhuà, chuántǒng děngděng dà màozi kòu zài zhè gè wèntí shàng, jiéguǒ líkāi tímù hěn yuǎn, yě déchū yīxiē bù zhèngquè de jiélùn. The question of simplified and complicated characters belongs to the scope of script. However, some recent discussions on the Internet often confuse script with language, and there are also people who cover up the question with heavy topics such as culture and tradition. The result is that the discussion becomes far removed from the question itself, and, at the same time, arrives at erroneous conclusions.